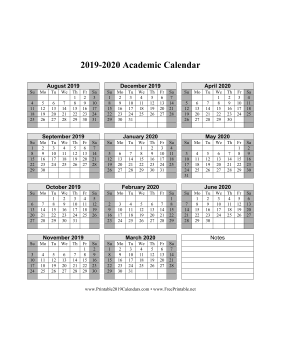 This printable 2019-2020 academic calendar starts in August of 2019 and extends to June of 2020. It also features lines for notes about tests, homework and essays. Free to download and print.